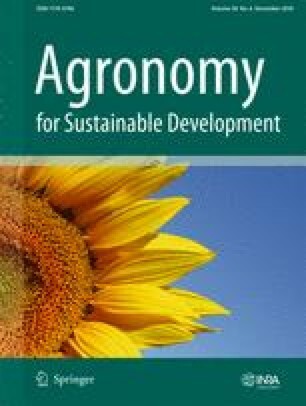 Foreseen climate change points to shifts in agricultural production patterns worldwide, which may impact ecosystems directly, as well as the economic and cultural contexts of the wine industry. Moreover, the combined effects of environmental threats (light, temperature, and water relations) at different scales are expected to impair natural grapevine mechanisms, decreasing yield and the quality of grapes. Hence, the interaction between several factors, such as climate, terroir features, grapevine stress responses, site-specific spatial-temporal variability, and the management practices applied, which represents and effective challenge for sustainable Mediterranean viticulture, allowed researchers to develop adaptive strategies to cope with environmental stresses. Here, we review the effects of abiotic stresses on Mediterranean-like climate viticulture and the impacts of summer stress on grapevine growth, yield, and quality potential, as well as the subsequent plant responses and the available adaptation strategies for winegrowers and researchers. Our main findings are as follows: (1) environmental stresses can trigger dynamic responses in grapevines, comprising photosynthesis, phenology, hormonal balance, berry composition, and the antioxidant machinery; (2) field research methodologies, laboratory techniques, and precision viticulture are essential tools to evaluate grapevine performance and the potential quality for wine production; and (3) advances in the existing adaptation strategies are vital to maintain sustainability and regional wine identity in a changing climate. Also, these topics suggest that rational and focused management of grapevines may enlighten grapevine summer stress responses and improve the resilience of agro-ecosystems under harsh conditions. Despite the challenge of developing different strategic responses, winegrowers should clearly define their objectives, so applied research can provide rational technical support for the decision making process towards sustainable viticulture. This work is supported by the European Investment Funds by FEDER/COMPETE/POCI–Operational Competitiveness and Internationalization Programme, under Project POCI-01-0145-FEDER-006958, National Funds by FCT - Portuguese Foundation for Science and Technology, under the project UID/AGR/04033/2013, and by IC&DT INTERACT project – “Integrated Research in Environment, AgroChain and Technology,” no. NORTE-01-0145-FEDER-000017 co-financed by the European Regional Development Fund (ERDF) through NORTE 2020. Sara Bernardo acknowledges the financial support provided by the FCT-Portuguese Foundation for Science and Technology (PD/BD/128273/2017), under the Doctoral Programme “Agricultural Production Chains – from fork to farm.” The postdoctoral fellowship awarded to L.-T. Dinis (SFRH/BPD/84676/2012) is also appreciated. Machado kindly acknowledges the Postdoctoral research grant BDP/UTAD/Innovine&Wine/959/2016 from the Project: INNOVINE&WINE–Plataforma de inovação da vinha e do vinho, n.° da operação NORTE-01-0145-FEDER-000038.